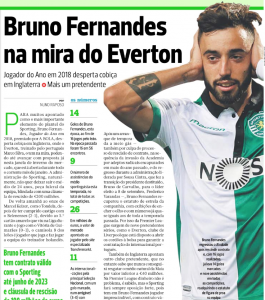 An attacking midfielder or No.10 isn’t exactly what Everton are crying out for right now, yet Portuguese newspaper A Bola has a big article on the club’s supposed interest in Bruno Fernandes. The Sporting player is in good form, even if he’s not at the heights of his powers as demonstrated last season. 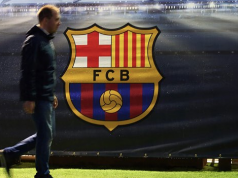 A difficult time with the off the pitch circus at the Lisbon club provided something of a hiccup in the attacker’s fast rise. 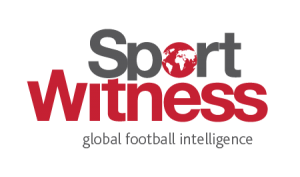 A Bola believe Everton are ‘willing to open the purse strings’ and make a ‘proposal’ to sign 24 year old Fernandes in the winter transfer window. It would certainly be a difficult operation, with Sporting having him on a contract with a €100m release clause. They’d likely accept less, but any move would still be for a very large fee. Everton are unlikely to want to go to such figures, which makes the rumour somewhat doubtful. It feels like this one is being batted between England and Portugal and subsequently being turned into something it probably isn’t.